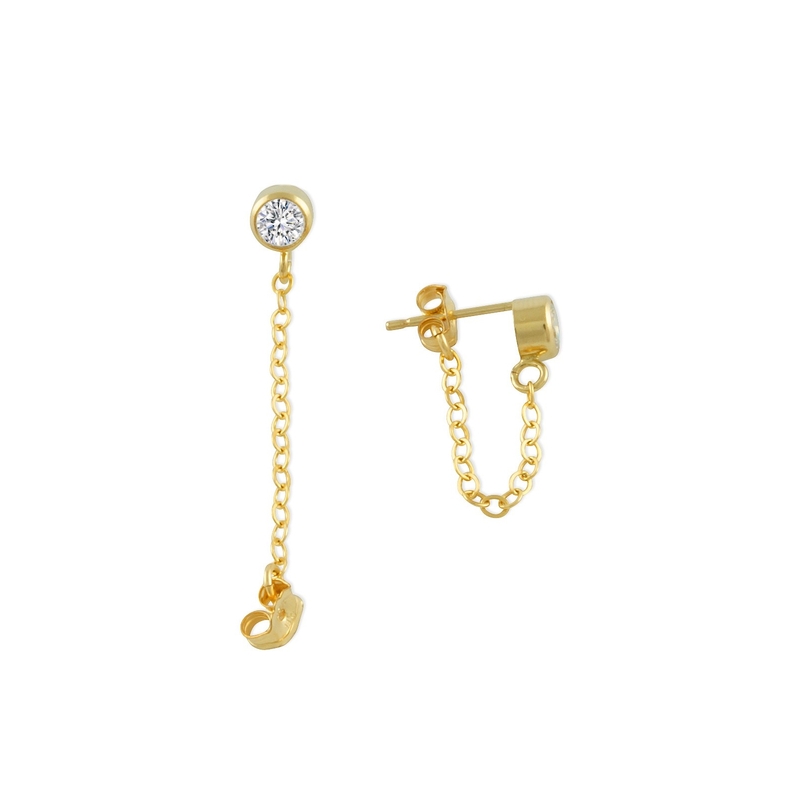 Create a chain reaction in these glittering studs. 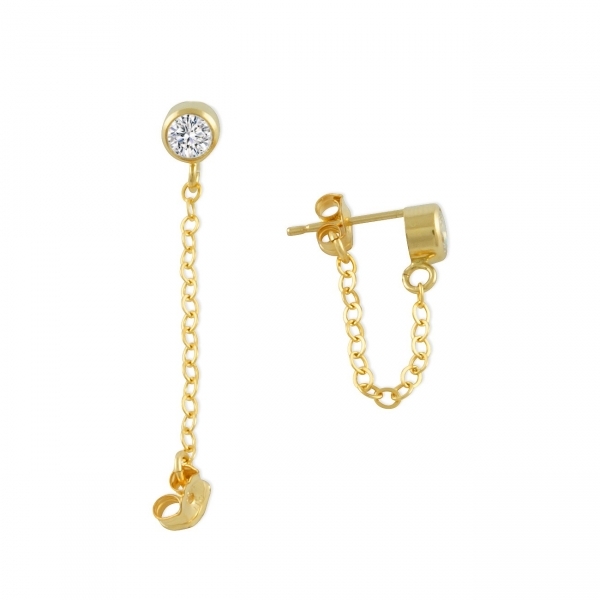 Add an accessory to your accessory with a bezel-framed cubic zirconia stone shimmering with 14K gold filled chain links that loop from the bottom to the post. A spunky take on miniature hoops—these round crystals feature a slinky extension, a trendy way to enhance everyday earrings without heft or complexity.